Follow us on Instagram for photos of our latest fishing charters along the coast. Check out our fishing videos for a glimse of what you'll see on our charters! Here at Destin Inshore Charters, we specialize in custom fishing trips to accommodate the exact charter fishing trip you desire! 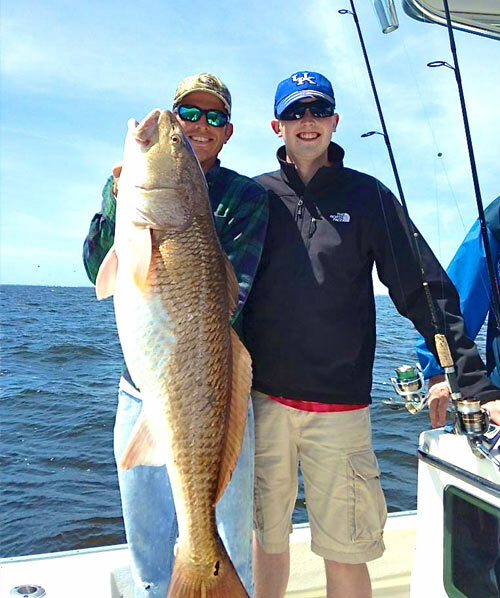 Whether you are looking to fish in the back bayous for Redfish and Trout or looking to hook into something big out in the Gulf such as a shark, we are the charter fishing guide service for you! Our affordable charter fishing trips include Inshore Bay Fishing, Nearshore and Offshore Gulf Fishing, Kid Fishing Trips, Shark Fishing and even Night Fishing Trips. With offering a variety of custom tailored fishing trips, you can choose what works best for you and your crew. Our guided fishing charters range from half day family trips to over night 48 hour adventure trips. Depending on season and type of fishing trip requested, species and catches will vary. 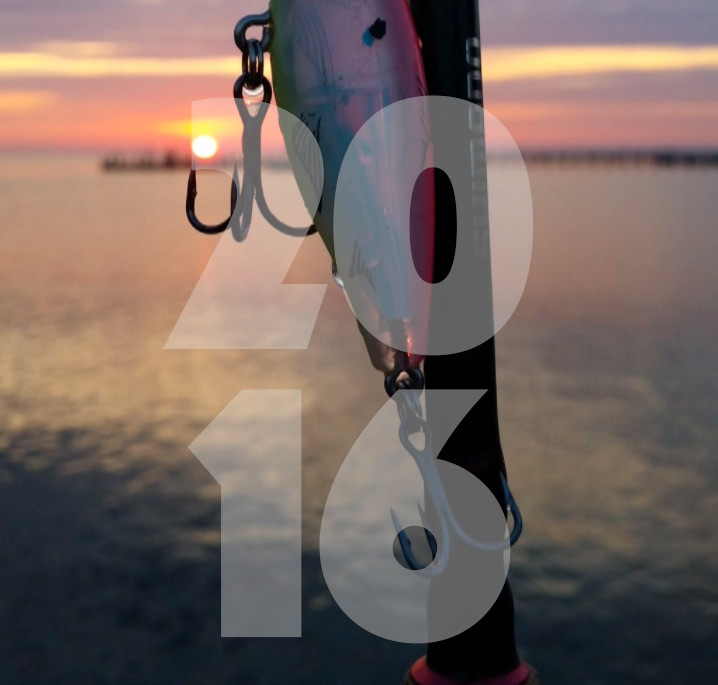 Our most targeted species inshore are Redfish, Speckled Trout, Black Drum, Sheephead, Black Snapper, and Flounder. While fishing in the Gulf our most common target will be Triggerfish, Amberjack, Red Snapper, Gag Groupers, Vermillion Snappers, White Snappers, Spanish Mackerel, and King Mackerel. Destin, Florida is located in the heart of the Emerald Coast. Destin is a great central location for all the surrounding areas. Among these areas are Navarre Beach, Fort Walton Beach, South Walton, 30A, Grayton Beach, Seaside, San Destin and Santa Rosa Beach. If you are staying in any of the surrounding sister cities you are no more than a twenty minute drive away. The reason Destin, Florida is known as the “luckiest fishing village” is because of its prime location. Some of the best Inshore Bay Fishing is found close to Destin because of the clean gulf waters that pushes into the bay daily. This clean water pushes in large amounts of bait fish and keep the estuary clean so it can thrive dramatically. With the bay waters around Destin, FL being so clean, the fish have a whole different taste than the fish caught in other parts of the bays and bayou’s. Weather you are wanting to take your fish home to cook yourself or decide to take your catch to one of local restaurants that offer a “cook your catch”, you will not be disappointed in the amazing flavor and great taste of the fish coming from this clean and clear water. What is a “cook your catch”? Just another reason to make “The World’s Luckiest Fishing Village” a vacation destination you will remember forever. Most all of the restaurants along the harbor in Destin, FL allow you to bring your fish filets straight off the boat in order to have them prepare them for you. You have the choice between fried, grilled or blackened along with a choice of sides such as fresh coleslaw and homemade hush puppies. Thats right! An affordable dinner option with no clean up. It just doesn’t get any fresher than this! Destin Charter Fishing at its Finest! Choose Destin Inshore Charters to guide you on your next fishing adventure. Allow us to be the entrance into experiencing Destin, FL and the Emerald Coast unlike no other! What Are They Saying About Us..
Couldn't ask for a better trip! Caught lots of fish, never a dull moment. Kids can't wait to go back!! Very friendly people who know how to make a fisherman's dream come true. Highly recommended for those who want to make great memories of a lifetime. If you want a good time on the water call Chris & Shelby! The whole family had a blast we'll definitely be back.